Welcome to Cocoa Beach Brewing Company! 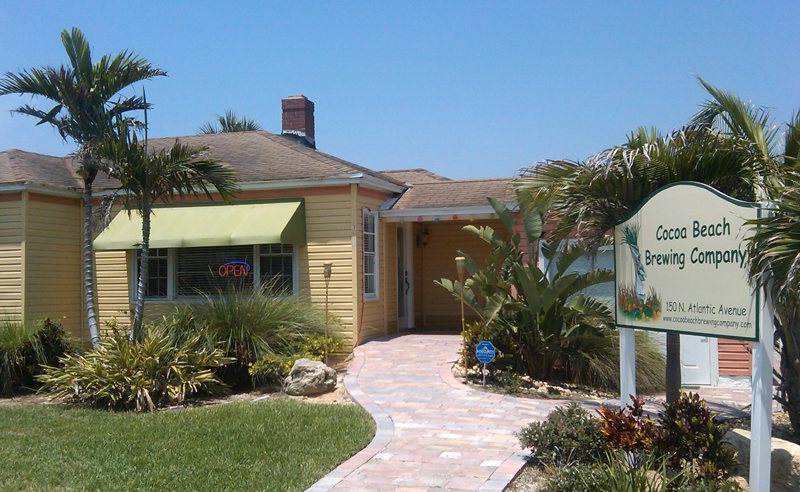 Welcome to the Internet home of Cocoa Beach Brewing Company - Cocoa Beach's hometown microbrewery and pub. Check back frequently for updates - or follow us on facebook. And, don't forget we have customer parking behind the pub - accessible off of Orlando Avenue through the city metered lot or via the driveway connecting 1st Street and 2nd Street between Atlantic Avenue and Orlando Avenue. We are accepting applications for current and future positions. Click here for more information. We are currently on our seasonal hours and open 7 days a week! Thank you to English journalist Steve Rogerson for a flattering review! 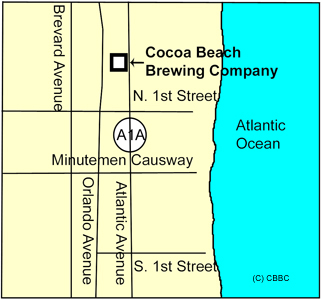 Can't make it to Cocoa Beach Brewing Company - find our beer at select retailers throughout Florida. Cocoa Beach Pale Ale and Not Just Some Oatmeal Stout, and 888 India Pale Ale are available throughout Florida at select stores and pubs. To order draft or bottled beer for your establishment, contact our representative, Carroll Distributing (321) 421-6283.